Raitti181 story – Raitti 181. Sauvon Kierros. Raitti 181 is a collaborative project between entrepreneurs and communities in the Sauvo region. You arrive to Sauvo always via road 181. Within this road 181, you will find the services you need as a traveler, such as local food, accommodation, restaurants, nature experiences, culture, handicrafts, boutiques, and a variety of serving (transportation, woodcarving, electrical work, etc.). Not all the services of found in Raitti 181-collaboration are physically located just off the road 181, but just a small deviation from this. You can do your own Raitti 181 experience just the way you want, just jump on your car’ ar motorcycle or bicycle and drive to Sauvo and decide what you want. Discover, experiment and be surprised what all it is to offer only about a half hour drive to get to Turku. First there was a dirt road. A sandy village trail that has been around since the Middle Ages. This was known as the so-called ”Jungfrusundintie”. It took the port of Jungfrusund in Kemiö. From there, they left for ships in the Middle Ages to Sweden. Jungfrusundintie went up to the village of Sauvo, somewhere where the current road goes to 181. After the village of Sauvo, about 3 km, the road turned towards to village Rajalahti, while the smaller dirt road from that point, I continued through Liesniemi village towards Torikka and Halslahti. It was centuries like that above. However, the name of Jungfrusundintie was no longer used in modern times. The road to Halslahti remained smaller than the traffic to Rajalahti. There was a ferry connection on both roads to get to Kemiö. There were no bridges over the Rungonsalmi bay. 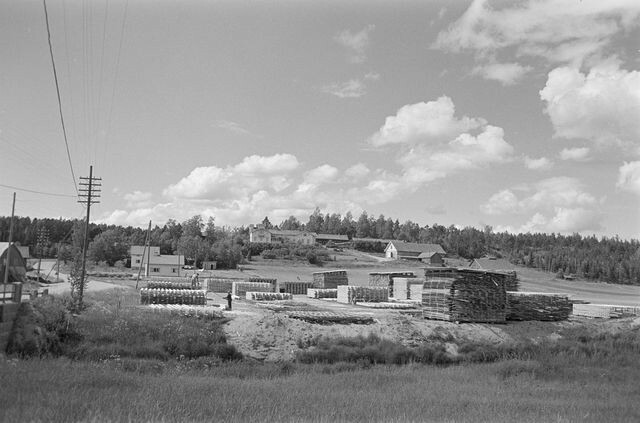 In 1961, an initiative was made to improve the road to Kemiö through Sauvo. The same project also involved the construction of a new road bridge to the Rungonsalmi bay and rejection of the former ferries. The construction of the road, called Road 181, started in 1971. In the years 1971-1972, the road was built, as was the Rungonsalmi bridge. The opening of the new bridge was celebrated on 8.9. 1972. On the same day, ferries between Sauvo and Kemiö were left out of use. The new and handsome road brought a good improvement over previous traffic conditions. Trucks and buses did not need to slip up in the winter, as was often the case before. At the time, there was also a fairly comprehensive selection of bus services to and from Turku to the Taalintehdas in the 1970s, from morning to late night. The new road also shortened driving time to Turku and accelerated commuting. The good road also took many people out of the community in the 1970s. At that time, the population in the Sauvo decreased. At its lowest, it was only about 2,400 inhabitants, somewhere in the late 1970s. 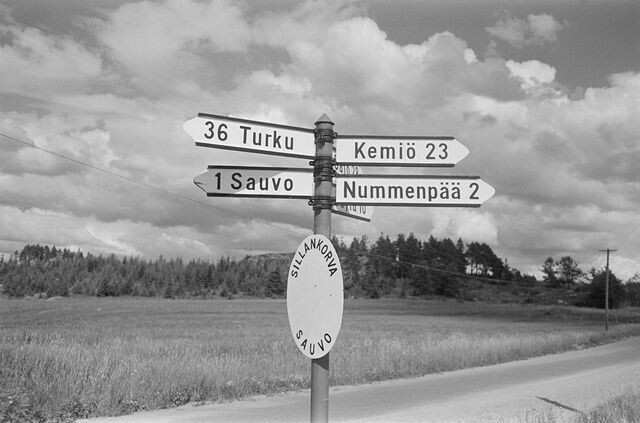 In the 1980s, the road 181 began to bring migrants to the municipality, thanks to the active plot policy of the Sauvo municipality. Since then, the population of Sauvo has grown. It has been over 3000 people for a few years now. In 2017, we decided to form a consortium of local entrepreneurs and associations to better inform tourists about the region’s services and offerings. By driving on the 181 road and appropriately deviating from it to different service providers, the traveler can make his own Raitti 181 experience just as he or she wants. There is no one and only way to experience Raitti 181. Each passenger makes his trip to Raitti 181 in his own way. Everyone can pick the best places to eat, the best local food, or experience different activities on land or even at the sea. Entertain yourself with musical performances (which are very abundant in the area!) or just quiet down on the Karunas beach cliff and listen to the waves of the sea. Head for your way to the Sauvo on road 181 and hear the invitation of Raitti 181!